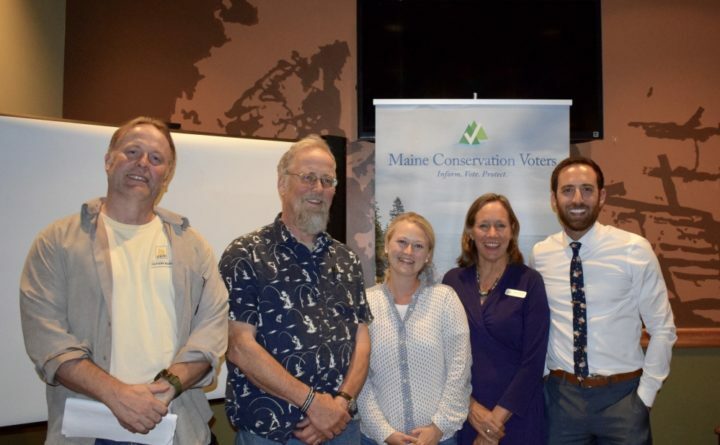 PORTLAND — Maine Conservation Voters and the Union of Concerned Scientists co-hosted a panel discussion of experts on the impacts of climate change on Thursday, June 28, at Sebago Brewing Company. The event was packed beyond capacity with environmentalists, scientists, and concerned citizens who wanted to learn about how climate change is affecting Maine right now, and what can be done. The group also heard from University of Southern Maine environmental science professors Drs. Joseph Staples and Robert Sanford about extreme weather events as a consequence of climate. They pointed to data which showed that in Maine and around the country, climate change is contributing to disasters like flooding, nor’easters, coastal erosion, and droughts. Maine Conservation Voters (MCV) cultivates and uses political power to conserve and protect Maine’s environment. MCV helps pass laws that protect our environmental legacy, elects pro-environment candidates to office, and holds our elected officials accountable, without regard to political party.